Fotografije dana: 28. august 2017. Najbolje fotografije sa svih strana svijeta. 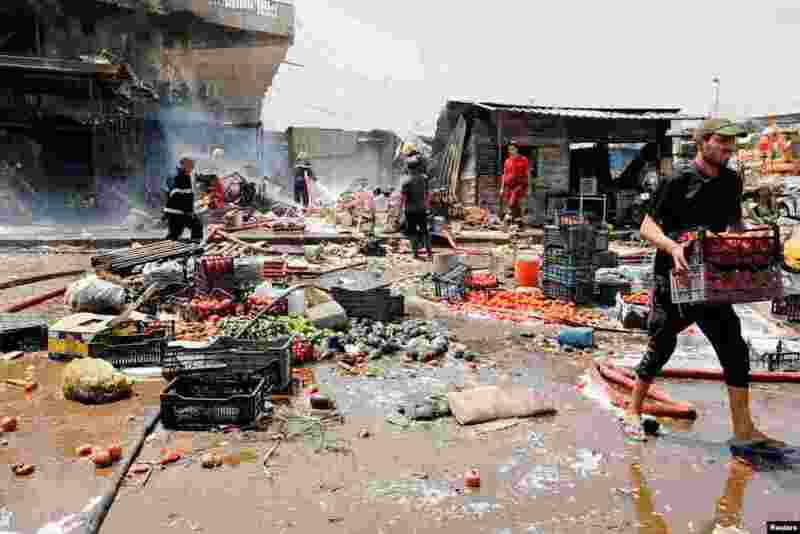 1 People gather at the site of a car bomb attack in Jamila market in Sadr City district of Baghdad, Iraq August 28, 2017. 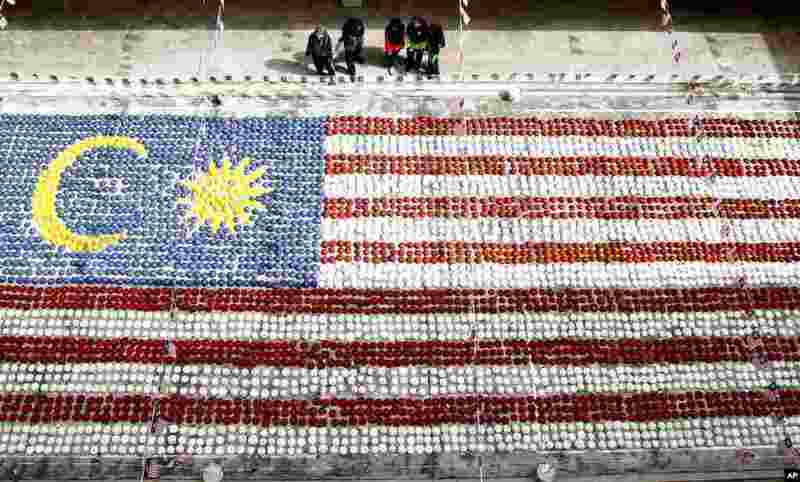 2 Students watch a giant Malaysian national flag made of coconut shells at Selayang in Kuala Lumpur, Malaysia, Aug. 28, 2017. 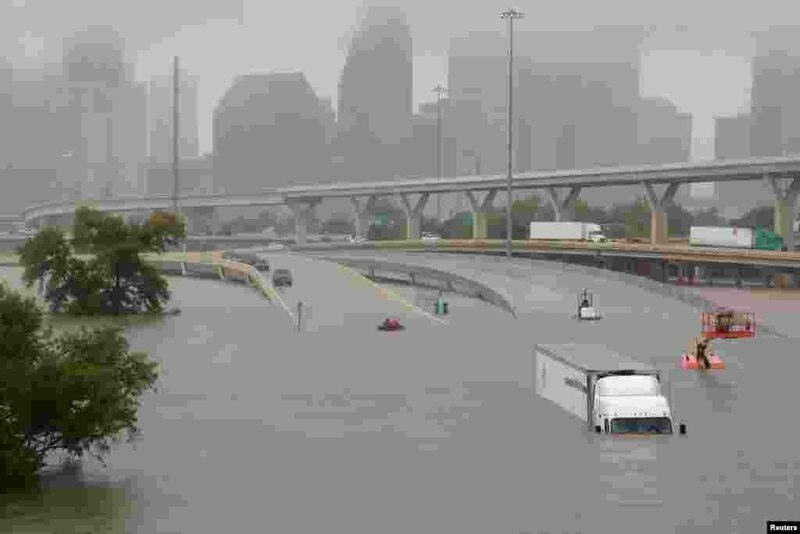 3 Interstate highway 45 is submerged from the effects of Hurricane Harvey seen during widespread flooding in Houston, Texas, U.S. August 27, 2017. 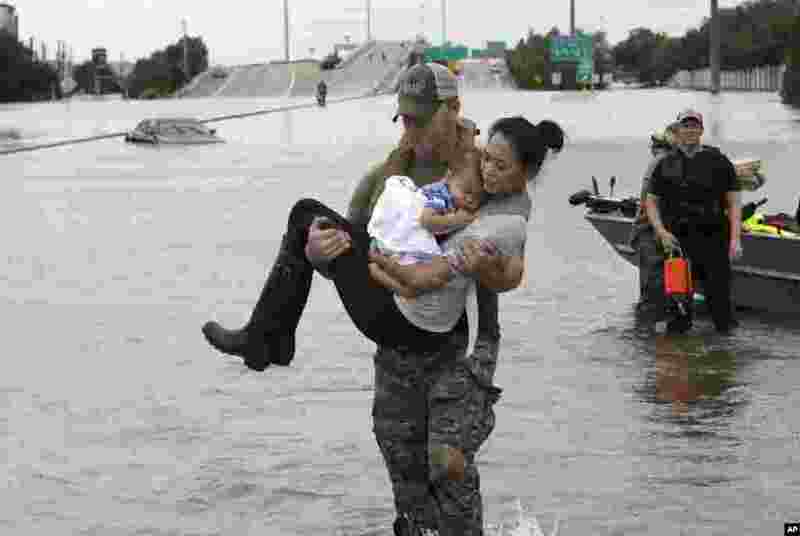 4 Houston Police SWAT officer Daryl Hudeck carries Catherine Pham and her 13-month-old son Aiden after rescuing them from their home surrounded by floodwaters from Tropical Storm Harvey, Aug. 27, 2017, in Houston.